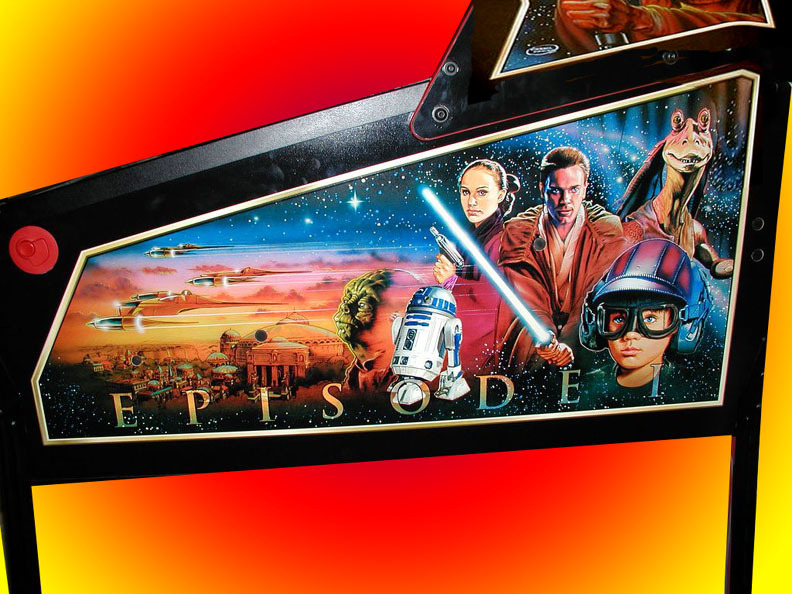 What a gift for a Star Wars fan! 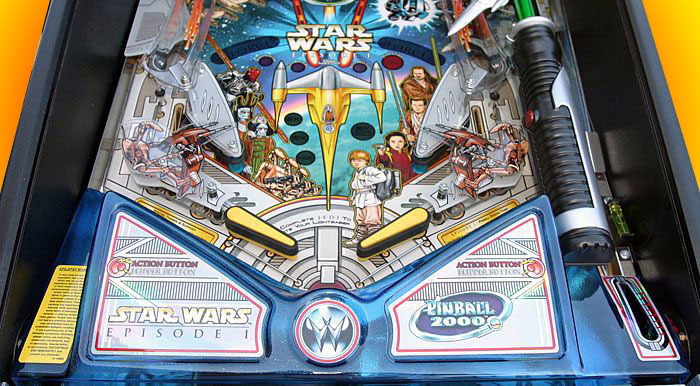 This is the pinball 2000 series, featuring a holographic combination of pinball and video! 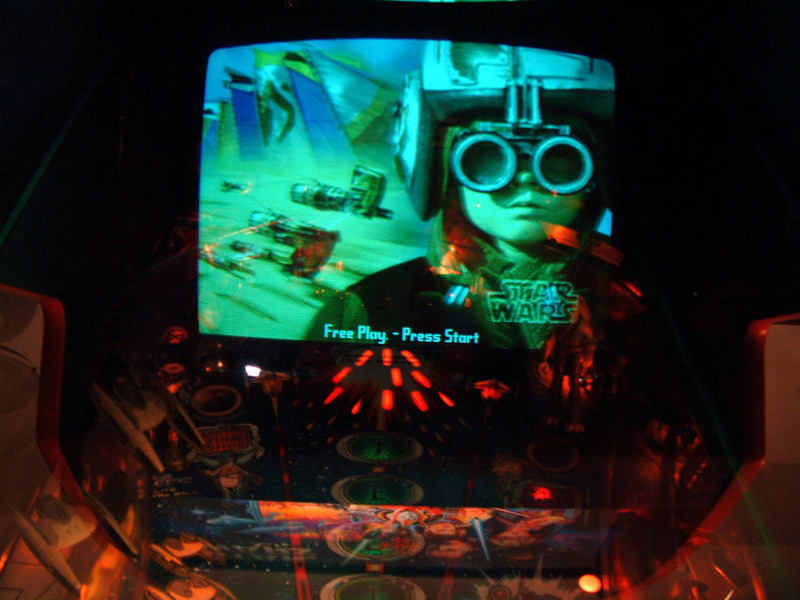 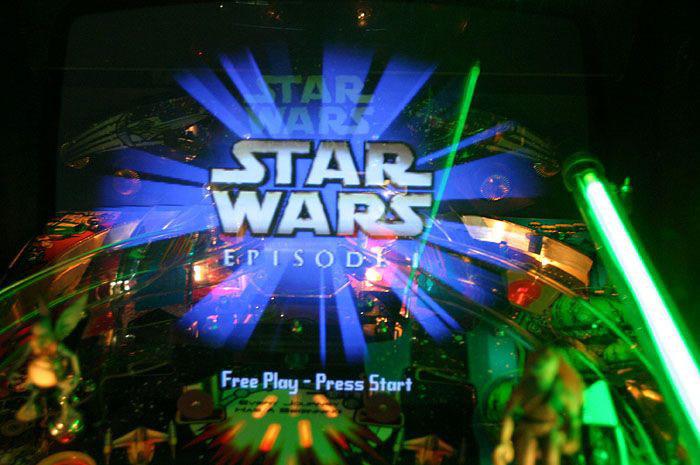 The pinball action on the playfield interacts with the video images reflected onto the playfield. 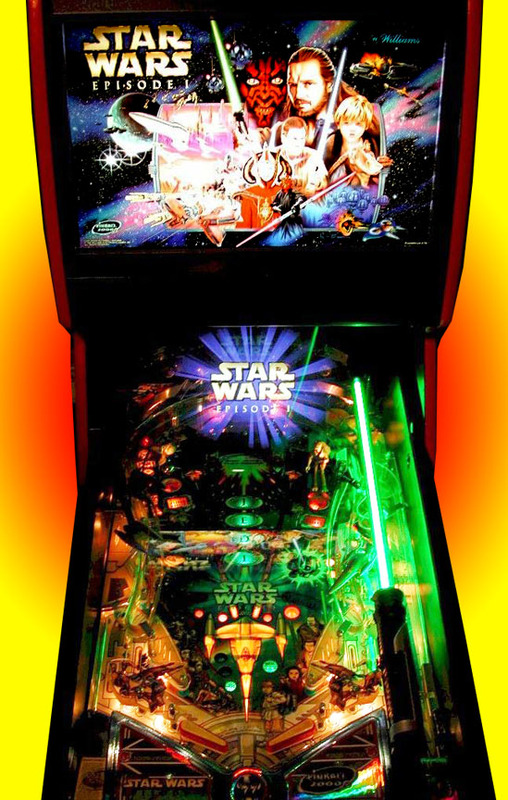 You goal is to become a Jedi Spirit. 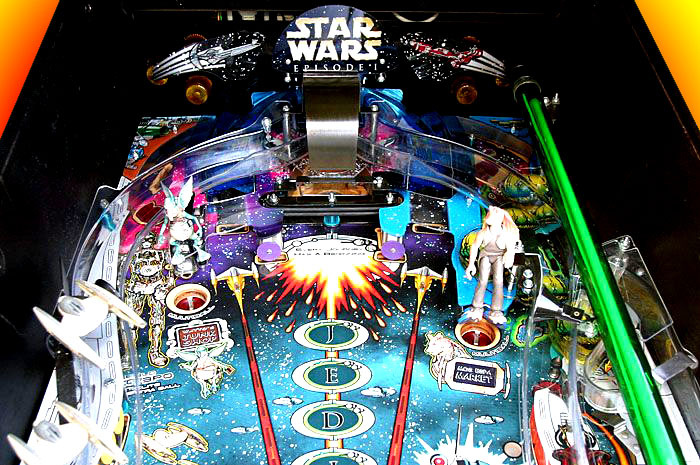 To reach the Spirit level you must battle through Youth, Knight, and Master levels, fighting Dart Maul in a light saber battler at each level. 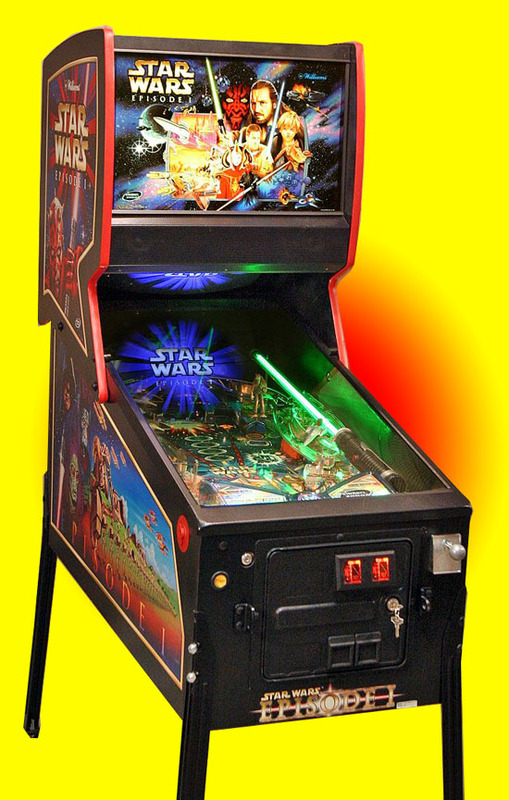 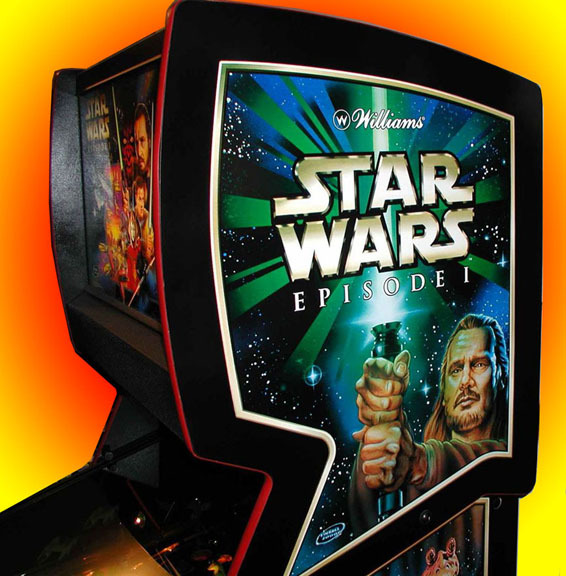 This machine has 13 different modes that need to be completed, including Ground Battle, Sub Escape, Hanger Escape, Jar Jar Juggling, Podracing, Space Battle, Sith Droids, R2-D2 Astrodroid, Queen's Game, Jedi Musical Chairs, Watto's Chance, Destroyer Droids, and Gungan Battle.